1.) 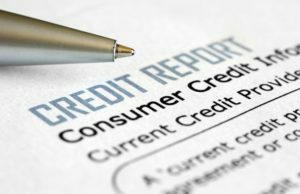 Removing Medical Debt: One major change in the credit reporting practice will be the removal of medical debts from credit reports once the debts are paid instead of the typical seven years. The three companies will also establish a six-month waiting period before reporting medical debts on consumers’ credit reports, providing more time for consumers to resolve issues that might amount only to a delayed insurance payment or another dispute. Overall, many view the settlement as huge victory that will benefit consumers throughout the U.S. If you’d like to know more about credit score changes or if you’re seeking a property management company in Las Vegas, please contact Simply Property Management – Paielli Realty, Inc. today. We offer a wide range of property management services to fit your needs as a landlord, tenant or homeowner.